Four years ago, IMLS realigned the Museums for America (MFA) grant program, adjusting a requirement that may have kept museums with smaller budgets and fewer resources from applying. We now allow applicants to apply for up to $25,000 with no cost sharing. This is unlike other MFA grants, which require at least a one-to-one non-federal cost share. By eliminating the cost sharing requirement at that level, we’ve opened the doors to applicants seeking support for projects with a smaller scope. Over the past four years, IMLS has awarded 200 of these grants, totaling $4,551,525. The more modest budgets of the projects doesn’t mean they haven’t had an impact on the grantee or the communities they serve. On the contrary—these projects have empowered and transformed smaller museums, better positioning them to strengthen engagement with their audiences. 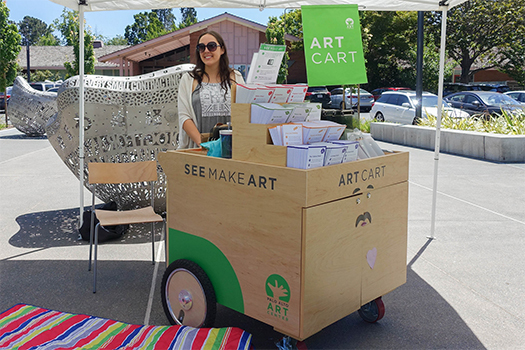 For example, the Palo Alto Art Center in California used their $25,000 2014 Museums for America award to undertake a project called Kits for Families—Seeing and Making Art in a Non-Collecting Museum. 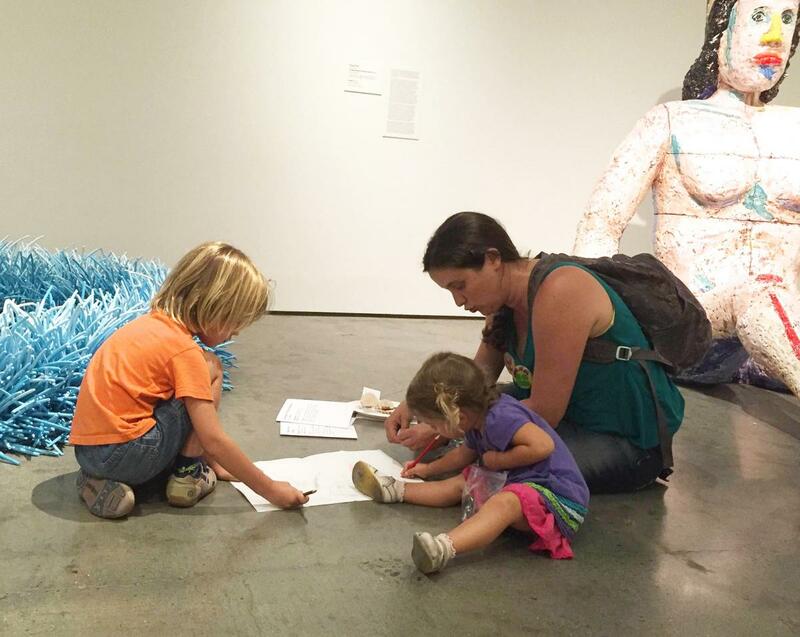 The Art Center worked with a museum education specialist to research, prototype, and test interactive kits that help children and families explore the museum’s temporary exhibitions. The development of the kits addressed some of the challenges smaller, non-collecting art centers have in engaging visitors with exhibitions and artwork that changes frequently. The project created fun family activities which can be adapted and used with successive exhibitions and encourage repeat visits. In another case, the Feiro Marine Life Center in Washington State is leading a community capacity-building effort with their first IMLS grant of $24,983. The project is conducting evaluation of programs, products, and practices across a rural region of the Olympic Peninsula. Six partner organizations will work collaboratively to form a learning circle focused on both increasing the capacity of individual organizations and working collectively to conduct evaluations. This grant is one of 28 that were awarded in 2017 under a new Museums for America special initiative called Museums Empowered. This initiative supports professional development for museum professionals and organizational capacity building for museums, with four areas of focus: digital technology; diversity and inclusion; evaluation; and organizational management. Small museums benefit from other IMLS grant programs, such as the Museum Grants for African American History and Culture. The Jack Hadley Black History Museum located in Thomasville, Georgia, received several grants allowing the museum to build organizational capacity. The museum’s most recent award, an African American History and Culture award for $115,904 over three years, will allow the museum to hire an educator to develop an education and outreach program and to evaluate educational needs of teachers. The new educator will have the skills to develop and deliver standards-based lessons with object-based learning activities to area schools. The IMLS-funded Museum Assessment Program (MAP) and Collections Assessment for Preservation (CAP) program are particularly beneficial for small and mid-sized museums. These programs help museums of all types strengthen operations, improve the care of their collections, and plan for their future. In ways large and small, IMLS works to understand and address the special challenges of museums with smaller staffs, collections, and budgets. We continue to seek new ways to connect. You’ll find us at the Small Museum Association conference (this year on February 20 in College Park, Maryland), as well as at several other national conferences whose organizations provide services to small museums. If these programs or projects spark some ideas for your organization, consider applying for Museums for All funding under $25,000. Make sure to refer to the Notice of Funding Opportunities for full instructions and for information on how to apply.